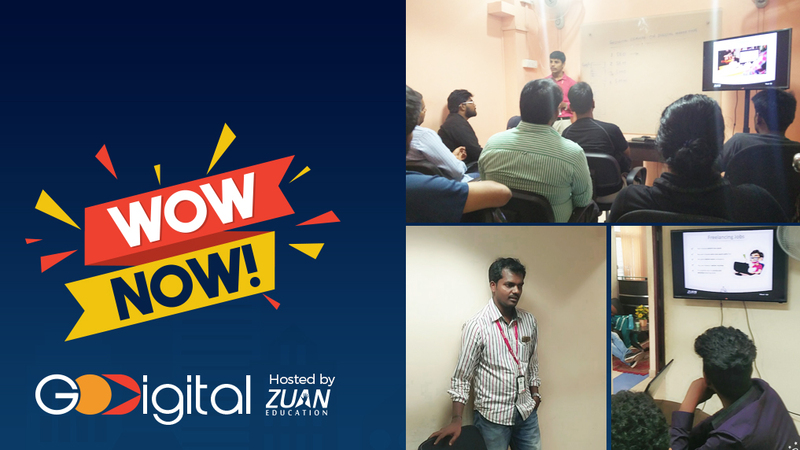 Zuan Education has successfully conducted its second seminar event – GoDigital Free Seminar 2016 on October 22. It was a great event for us to connect with professionals and help them in getting to know about the opportunities available in the digital marketing field. Our attendees had an intensive programme with insights to the techniques, tools, job opportunities available in the digital marketing world. We thank all the participants who attended the seminar and made the event more interactive! Excellent job by zuan! Expecting training courses like this in the future. Thank You. It was a great session and very informative talk! Seminar was good, it definitely provides idea about marketing through digital. Thank you.